The 25th Annual Jammy Awards are just a week and a half away, and 10 of our finest bands are busy rehearsing, tweaking the perfect 25 minute set, and discussing wardrobe and choreography (ok, probably not). Trophies and prizes are piling up in our office, and we’re nailing down countless details of between-band entertainment, lighting design, photography, video, judges, gear, etc. Though the Jammys are ostensibly both a competition and an awards show, that doesn’t really capture the vibe of the event. For one thing, everyone cheers everyone else on, with great pride and respect. And the Jammys has nearly non-stop performances, all-killer-no-filler sets, NO speeches – and we distribute all the awards (and swag for the audience) rapid-fire in the last 10 minutes. More than anything, the Jammys are a CELEBRATION – of camaraderie, expression, talent, dedication – the joy and power of making music just for the love of it. We hope you can join us – you’ll feel the love too. What’s the fastest way to get to the stage? InstaBand! You can call it a workshop, but I think of it as all the benefits of a band with almost none of the hassle: The schedule, lineup, and genre are already decided, and a very talented multi-instrumentalist serves as your coach and decisionmaker. THE FULL THROTTLE BLUES BAND is our newest InstantBand with John Putnam, which will rehearse on October 2, 9, 15, 23, and 30 (all from 7-9 pm), and perform in our November 1 Red Lion Showcase. There’s room for a vocalist, guitarist, bassist, drummer, and keyboardist. It’s an all-inclusive excursion (10 hours of rehearsals, the Showcase gig, and the expert guidance of Professor Putnam from first note to last) for $349 ($299 for Jam Members). To sign up, have your debit or credit card in hand and call 212 626 8472 x2 – first come, first served. These spots won’t last long. RELAY: It’s been awhile since this Who tribute graced the Jammys stage, but in an exciting plot twist just this past week, the band replaced its frontman with original vocalist (and multiple Jammy-winner) Teddy Ames. You Better You Bet. DAUGHTERS & DISSIDENTS: In their Jammys debut (at least with this name and lineup), this outfit makes a strong case for Pearl Jam’s inclusion in the Classic Rock Pantheon. Expect a ferocious performance. NO STATIC: Last year, this Steely Dan tribute played a mega-medley in order to squeeze all the hits into 25 minutes. What will they do this year? You’ll have to tune in (get it?) to find out. MOCKINGBIRD HILL: Also making their Jammys debut, this earnest and energetic Clash homage might be The Only (Tribute) Band That Matters. COLD FUJON: Multiple Jammy-winners (and always “horniest band of the night (get it?)) return with dueling saxophones and a new set of funky jazz (Fazz? Junk?) to dazzle AND make you shake your booty. NO MERSEY: It’s been a decade maybe since this band appeared at the Jammys – will they play a Beatles set? Assorted Classic Rock? A little mystery is good. CARBON COPY: Talent and hard work make CC multiple Jammy winners (as a band, and all of them individually) – and perennial favorites. This year, they take the form of U2. Will they shine like stars in the summer night? Naturally. THE PETTY THIEVES: Nominally a Tom Petty tribute, the Thieves will no doubt throw down with mashups, medleys, and touches of Hip Hop. Word. THE LIZARD KINGS: Perhaps the most theatrical Jammys band, TLK channels The Doors with uncanny precision – and lotsa heart. Hopefully without the indecency. THE ROLLING BONES: Still Rolling after 25 years – the most epic career in The Jam’s history. The timeless music of The Rolling Stones and regal stylings of the Bones have become the traditional finale of the Jammys. FYI: Last year, something like 40% of the musicians participating in the Jammys appeared with multiple bands – THIS year, that rate has fallen to 20%, reflecting a deeper pool of talent. Keep an eye out for those pulling Double Duty (and I may be missin one or two): Bobby Berger (No Mersey, The Petty Thieves), Michael Marinic (Cold Fujon, Carbon Copy), Marc Steve (Mockingbird Hill, Carbon Copy), Jimmy Fontanez (No Static, The Petty Thieves), UB Cheung (Mockingbird Hill, Daughters & Dissidents), Dan Fusco (The Lizard Kings, No Static). And for two performers pulling a Triple: Teddy Ames (Relay, Carbon Copy, Rolling Bones), and John Carucci (Lizard Kings, Rolling Bones, No Static). Of course, a major part of the fun in any event like this is the unexpected – anything can happen – and probably will. 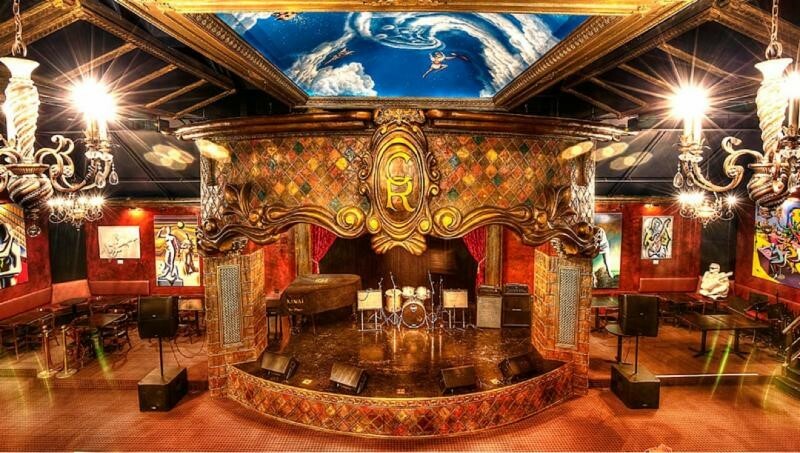 The Cutting Room (44 East 32nd St, near Park) is a “guitar-laden holy temple of rock….like a bizarre Keith Richards dream brought to life.” (UrbanDaddy). The venue for the 2018 Jammy Awards features an elevated stage, multiple rooms and balconies, excellent food, and state-of-the-art sound and lighting. To which we add TEN great bands, between-band entertainers, free swag from our sponsors, and other delights. Don’t miss it! How does one make it to the Jammy Awards? Short answer: Be a Top Ten (grossing) act at Jam Showcases the previous year, and/or at our rehearsal studios. Long Answer: Plan, Practice, Promote, Perform. PLAN your 2019 Jammys quest ASAP, figuring out how to get in a couple of gigs before the end of 2018 (at press time, we have still have room for another act in our October 4 Showcase. PRACTICE: Easier said than done, with everyone’s schedules, multiple bands, vacations, etc. Avoid these impediments by scheduling your rehearsals as far in advance as possible – like…now (212 626 8472 x1). PROMOTE: Make sure EVERYONE sends out an invite a couple of weeks before every show, and a reminder the week of – make it easy by creating a FaceBook Event and sharing the link. PERFORM: People focus on getting the songs right, but ignore the flow of the set, avoiding momentum-sucking breaks between songs, visual presentation, and movement. It’s a SHOW – not a recital! Drummer of the Year takes home a shiny Zildjian 20″ A Series Thin Crash cymbal that “is symmetrically machine-hammered and lathed with a traditional wide groove. 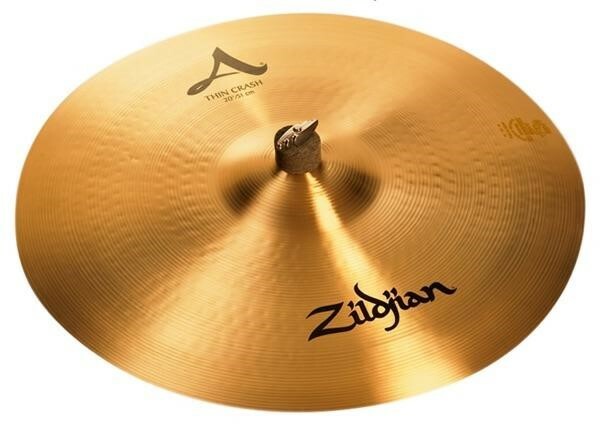 The result is an exuberant crash cymbal that bursts with a classic voice that is pure, bright, and expressive.” Retail value: $294.95. 2018 Vocalist of the Year gets a three hour Flash Demo recording package courtesy of Outta Sight Productions (a co-venture of The Jam and producer/engineer Jimmy Fontanez). The winner will mix a musical bed, track and edit vocals, add some of Jimmy’s instrumental prowess, and mix and master a final recording. Retail Value $199 – but for a limited time, Outta Sight is offering this Flash Demo package for just $149. For more information, or to set up your own recording session, call: (212) 626 8472 x3. A Lifetime Achievement Award (only the third of its kind) will be posthumously bestowed upon Jeffrey Mucciolo – a great man, a great musician, and a great friend of the Jam. Next time, we’ll discuss the rest of the Individual Honors, and all the Group Honors for the 2018 Jammy Awards. Saturday (9/15): Newbie Jam, under the inspirational guidance of Jimmy Fontanez, 3 to 5pm at The Jam (541 Sixth Ave, inside The Collective). $15 for members, $25 for non-members. Designed for those who don’t have much experience playing with others, but open to all. And don’t forget The 25th Annual JAMMY AWARDS: Friday, September 21 at The Cutting Room. Advanced (discount) tickets and other info linked below. My name is Whitney and I will be travelling to New York Nov 15-19th. I have a friend who is a drummer and has not been able to jam in a long time. I had a read of your website, I think this could work. He was expressing to me how much he misses playing so I thought I could bring him to you in the time that we are in New York and he can just play and do his thing? Is this something that you offer for people? What would I need to d to make this happen. It would be a complete surprise for him. As someone who doesn’t play any instruments I wasn’t sure if this is something that you would offer. Any insight and advice would be greatly appreciated. Hi Whitney, We’ve sent you an email as well, but we welcome everyone (members and non-members) at the open jams. You don’t need to buy a reservation ahead of time, you are welcome at the door on the day-of. Happy Jamming!